Poe Dameron (Oscar Isaac) getting checked by General Leia Organa (Carrie Fisher). 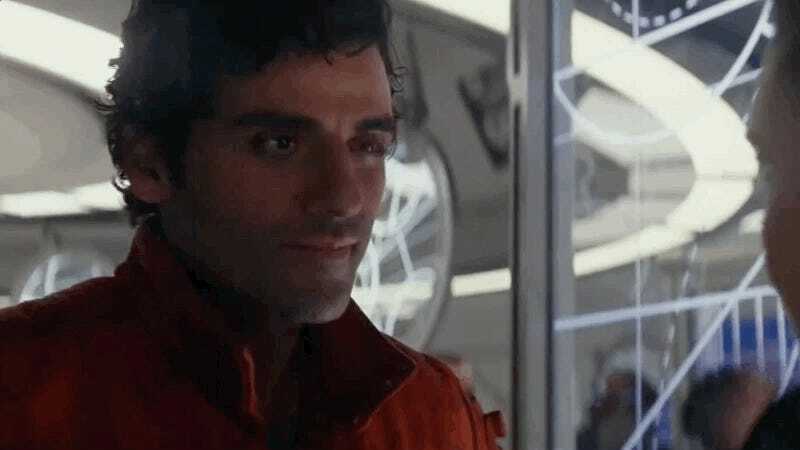 Poe Dameron deserved so much more than a light slap on the face in response to his gross insubordination during Star Wars: The Last Jedi, which is part of what makes this blooper supercut of the multiple times Carrie Fisher had to dramatically hit Oscar Isaac while filming so satisfying. Clearly, they were both having fun. Ever the consummate professional, Isaac took his licks on the chin without complaint, and honestly, how many people can say that they had the privilege to be bandied about by Carrie Fisher as part of an integral moment in an epic space soap opera? That’s an achievement. There’s some other great stuff in here, too, of course. Enjoy. While the reel is not included there are many special features in the home release of The Last Jedi, which is out now.